Claire Henty-Gebert’s life is remarkable and inspiring. Born in the late 1930s, the daughter of a white settler and an Alyawarra woman, Claire was four years old when she was taken to the Bungalow mission in Alice Springs. Much of her young life was spent on the newly formed Croker Island mission and she recalls happy days in the care of compassionate missionaries. Sent south to escape the threat from Japanese fighters during World War Two, Claire later returned to Croker Island and married. 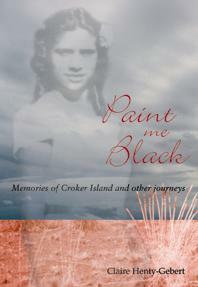 Inspired by others, Claire traced her Aboriginal family, however, she was never to meet her mother. Claire’s reminiscences and a wide selection of photos combine here with conventional documentary sources, cultural knowledge and people’s memories.